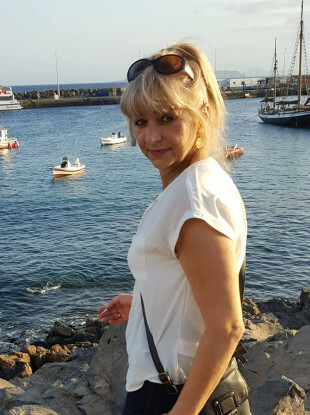 Elzbieta's body was found in a house in Ardee yesterday. A POST-MORTEM is due to be carried out today on the body of a woman found in a house in Louth yesterday. The mutilated body of the woman – named locally as Elzbieta Piotrowska – was found in a house in the Clonmore area of Ardee at around 11.30am yesterday morning. A 32-year-old man was arrested in the town later and remains detained under the provisions of Section 4 of The Criminal Justice Act 1984 at Drogheda Garda Station. Gardaí said yesterday that no one else was being sought and that they were following a definite line of inquiry. In a statement this afternoon gardaí said the woman’s body had been removed to Our Lady of Lourdes Hospital in Drogheda where a post-mortem was scheduled to be commenced by Deputy State Pathologist Dr Michael Curtis. “We have the person who we believe was involved in the incident arrested and detained in Drogheda Garda Station,” he said. He would not comment on whether a weapon had been found. However, it is understood a large blade was recovered yesterday by investigating gardaí. Elzbieta is originally from Poland. She had been living in the house with her family before her death. The family has been living in Ireland for the last 10 years. Email “Ardee investigation: Woman's body removed to hospital for post-mortem ”. Feedback on “Ardee investigation: Woman's body removed to hospital for post-mortem ”.